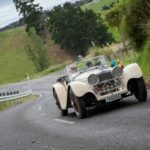 The latest Targa tarmac rally event – next month’s three-day Targa Hawke’s Bay – is proof that two into one does go. Just ask the CEO and Event Director, Peter Martin, of the Ultimate Rally Group (URG), the company that owns and runs Targa events in this country. 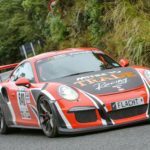 “Previously,” said Martin this week,” we’ve had two separate – and very..
It’s been a big year for New Zealand marathon motorsport event organiser the Ultimate Rally Group (URG). But you won’t find company CEO and Targa/Silver Fern Rally Event Director Peter Martin taking a break any time soon. 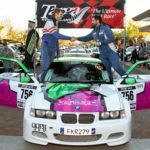 Martin has just announced the dates and basic details for his two big 2019 Targa events and is also well-advanced on plans for..
They’ve done it! 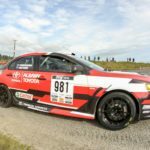 Glenn Inkster and Spencer Winn (Mitsubishi Evo 8) have won the annual multi-day Targa New Zealand tarmac motor rally for a record-setting fifth consecutive time. The pair, Inkster a multi-talented gravel and tarmac allrounder from Patumahoe south-west of Auckland, who works as a sales manager for electrical supply industry specialist TransNet, and Winn, the owner of the..
HAVE INKSTER & WINN DONE ENOUGH TO TAKE FIFTH TARGA NZ TITLE? 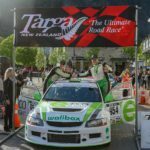 Have four-time and defending Targa New Zealand title-holders Glenn Inkster and Spence Winn (Mitsubishi Evo 8) done enough to claim a record-making fifth consecutive event win in Queenstown tomorrow? That was the question being asked late this afternoon as the 57 remaining teams arrived in Heriot for the final stage of the penultimate day of the 24th annual multi-day Targa..
With his ‘eye back in’ and the exhaust manifold problems which slowed him on the second leg behind him defending Targa NZ title holder Glenn Inkster and co-driver Spencer Winn (Mitsubishi Evo 8) spent a wet, cold Thursday slowly re-building a lead in this year’s southern South Island-based Targa New Zealand tarmac motor rally the four-time winner hopes to hold..
Dunedin pair Martin Dippie and Greg Ball (Porsche GT3 RS) were battling for the lead with defending title-holders Glenn Inkster and co-driver Spencer Winn (Mitsubishi Evo 8) at the end of a dramatic second day of this year’s southern South Island-based Targa New Zealand tarmac motor rally this evening. Another local pairing, Regan Hall and Nathan Graham (Porsche 997 Turbo).. 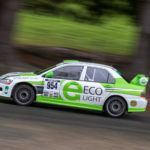 Event rookies Haydn Mackenzie and co-driver Matty Sayers (Mitsubishi Evo 10) showed their hand early on the opening day of this year’s five-day Targa New Zealand tarmac motor rally on Tuesday. 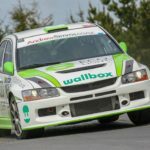 Defending – and four-time consecutive event winners – Glenn Inkster and co-driver Spencer Winn (Mitsubishi Evo 8) won the opening stage from just north of Invercargill to Wyndham. 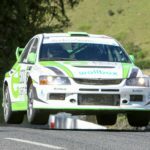 However..
Four-time Targa New Zealand event winners Glenn Inkster and Spencer Winn (Mitsubishi Evo 8) from Auckland head south this week as favourites to win this year’s five-day tarmac motor rally marathon from Invercargill to Dunedin and on to Queenstown which starts on Tuesday October 23 and finishes on Saturday October 27. Such is the attraction of the stunning, fast, open,.. 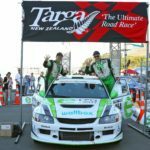 The countdown has begun for the 2018 Targa New Zealand tarmac motor rally, the annual multi-day marathon event returning to the South Island in late October for only the second time in its 24 year history. This year the iconic closed road stage event starts in Invercargill on Tuesday October 23 and takes in over 600kms of closed special stages linked..